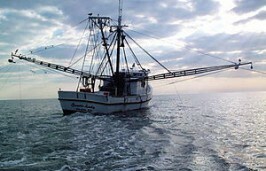 New requirements for gear configurations for shrimp trawls take effect July 1 to reduce bycatch in areas of Pamlico Sound and parts of the Pamlico and Neuse rivers. The North Carolina Department of Transportation will close a section of N.C. 12 in Frisco from 7 a.m. to 7 p.m. March 24 to replace pipes under the road. 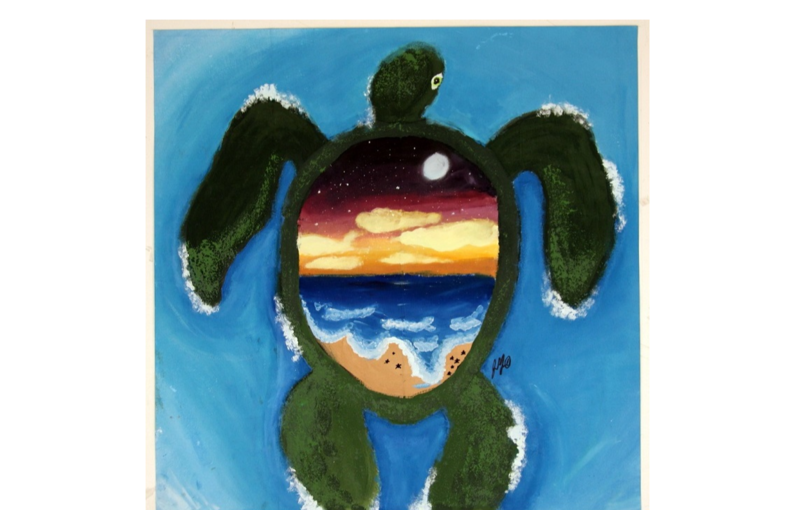 This painting by a Swansboro High School student joins 60 other impressions of the Southern Outer Banks in a student art exhibit to be on display at Cape Lookout National Seashore’s two visitor centers through the summer. Themed “Connect with the Rhythms of Nature on the Southern Outer Banks,” the art exhibition will be on display at the Harkers Island Visitor Center March 9-Sept. 9 and the Beaufort Visitor Information Center starting March 25, when the park information center reopens for the season. Researchers at the Virginia Institute of Marine Science are developing a modeling platform that they say provides a more detailed, accurate picture of the effects of storm surge on communities and their water quality. They say the SCHISM, or Semi-implicit Cross-scale Hydroscience Integrated System Model, which is an open-source, community-supported modeling system, may be used to build more resilient communities and improve the economic strength of coastal towns and counties. The dead humpback whale that washed up on a beach in Corolla Sunday is the seventh stranding so far this year on Outer Banks beaches. Environmental Protection Agency Acting Administrator Andrew Wheeler announces Thursday EPA’s Per- and Polyfluoroalkyl Substances, or PFAS, Action Plan. EPA said its plan identifies both short-term solutions for addressing these chemicals and long-term strategies for providing clean, safe drinking water and addressing PFAS at the source. Critics say EPA could do more. A federal appeals court Wednesday affirmed a lower court’s decision that transportation officials did not violate environmental laws in approving the “jug-handle” bridge over the Pamlico Sound. Roamer, a stallion who became an ambassador for the northern Outer Banks’ wild mustangs, died this weekend following complications from colic. Researchers at the Australian Institute of Marine Science have conducted what they’re calling the first real-world seismic experiment to determine the effects of marine noise on fish and oysters. Using the seismic vessel the BGP Explorer, the researchers surveyed two sites off the northwest of Western Australia over the course of 10 days. The collaborative experiment involving more than 100 people took a year to design and coordinate and could provide answers on the effects of marine noise. The U.S. Geological Survey has confirmed what many residents of the Carolinas already knew: Hurricane Florence brought record flooding.